The Close Encounters hat is a nod to the incredible movie -- with lights and sounds that mimic the mother ship, all stowed under the brim. A photocell triggers the action for GEMMA, while the NeoPixels and piezo buzzer provide the show. Get ready to change up that next kiss or rock a dark movie theater. 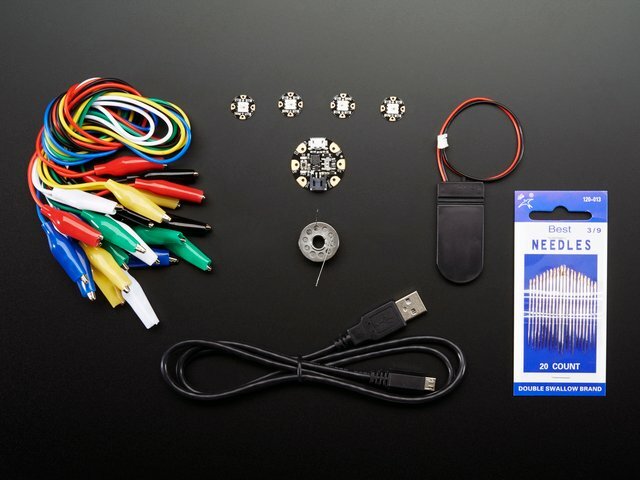 If you order the GEMMA Sensor Pack, you'll have most everything you need. The one exception is the amount of NeoPixels. 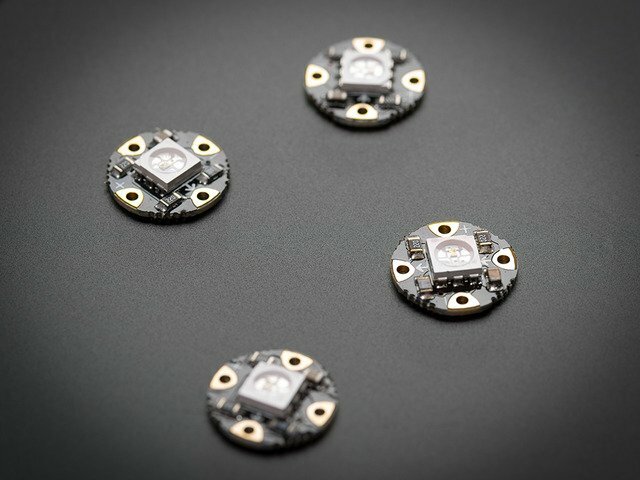 Since there are five lights/sounds for Close Encounters, you may want to purchase 6 additional NeoPixels to supplement the 4 that come with the kit. That way you'll have lights for the front and back of your hat. 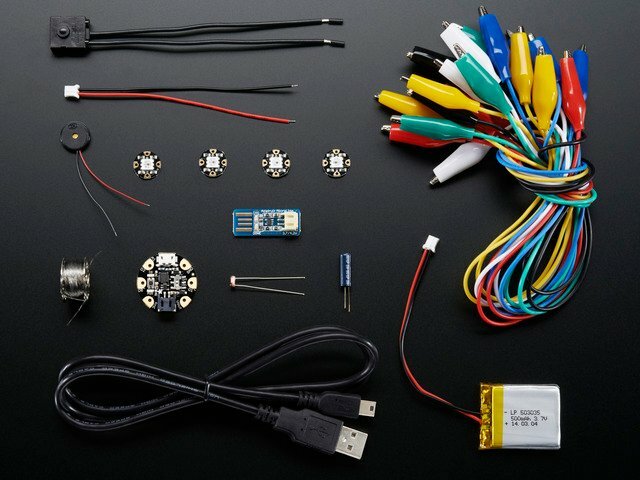 Make sure you have the Adafruit Arduino software installed for GEMMA, or hop on Codebender. The photo cell will be your sensor to detect darkness and activate your hat. Start by bending the two wires slightly apart. Then, using a needle nose pliers, bend the legs at a 90 degree angle so that while the sensor points outward, the legs will sit nicely against your hat. Cut two small pieces of heat shrink tubing and place them on the legs of the photoresistor. Then use a heat gun or blow dryer on hottest setting to shrink the tube in place. Now, take your needle nose pliers and bend the tips of the legs into circles. Be gentle as the wires are fragile. Insert the legs of the photo cell into the grommet on the hat closest to the GEMMA. Gently wriggle them in one at a time, so they fit nicely against the inside of the hat. 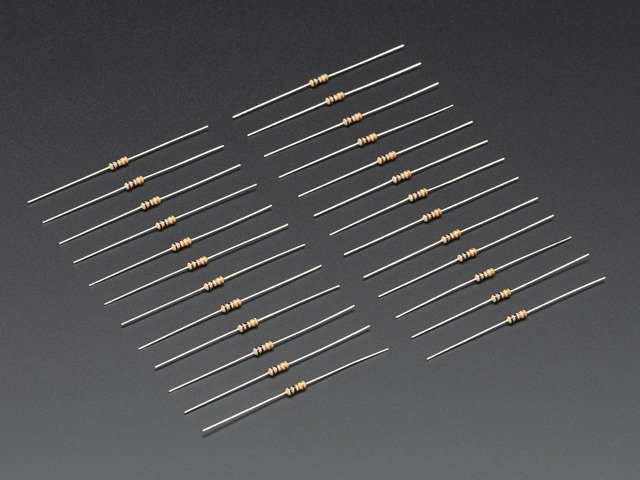 Let's move on to the piezo buzzer. This tiny piece will create the sounds for your hat. Start by stripping 1/4" off each wire. Do this very gently as the wires can break easily. Tin the wires with a bit of solder. Now solder each wire to the end of the snap pieces. 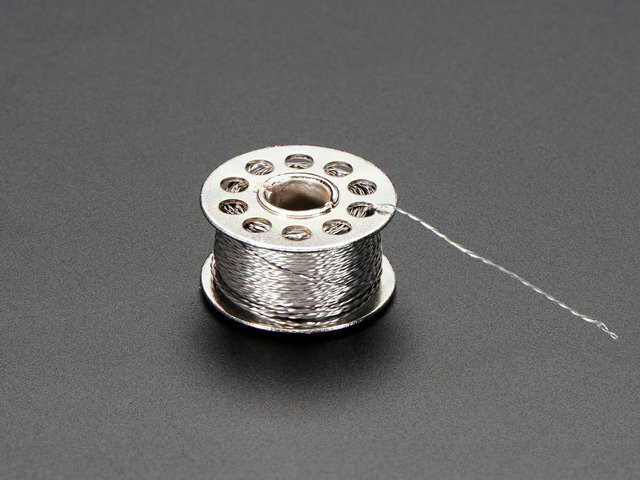 It doesn't matter which snap piece you choose, as we are only using them as conductive pieces that allow us to stitch onto fabric. Okay, speaking of stitches, it’s sewing time! Put a small piece of adhesive velcro onto the battery, making sure the wire won't have to twist going into the GEMMA. You may wish to tape the wire junctions to provide additional strain relief. Place the other side of the velcro inside the lining of the hat, directly above the GEMMA. The battery rests nicely in the pocket of the lining and the wire has an easy reach to the GEMMA. Now it's time to load the code. Close Encounters hat with 10 neopixels by Leslie Birch for Adafruit Industries. Notes play with each corresponding light. 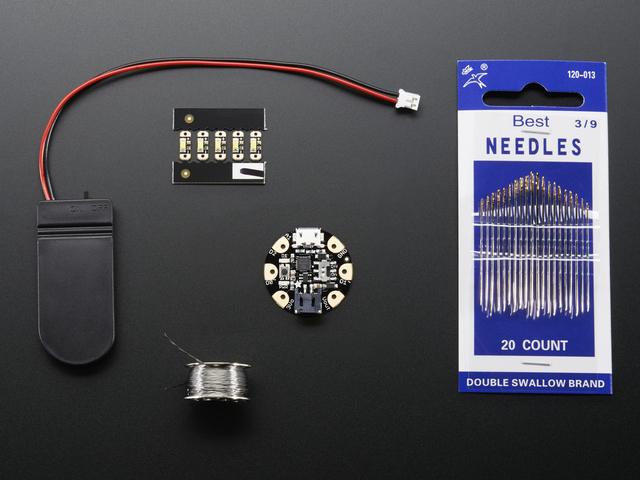 This code requires the neopixel.mpy and simpleio.mpy libraries. 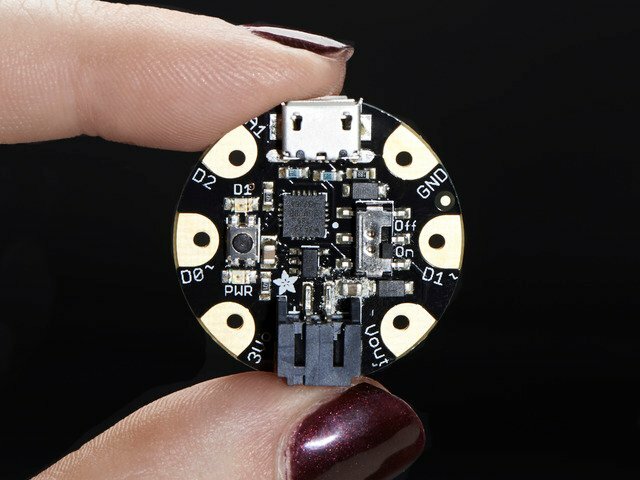 A factory-fresh board will have neopixel.py installed. 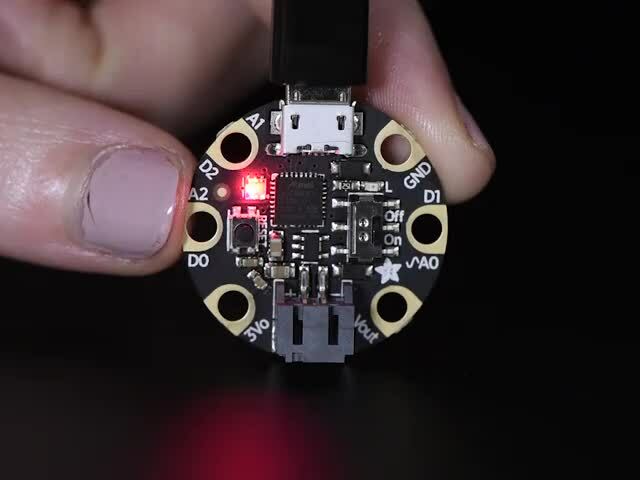 If you’ve just reloaded the board with CircuitPython, create the “lib” directory and obtain neopixel.mpy and simpleio.mpy from the latest Adafruit_CircuitPython_Bundle. If you have done everything correctly, your hat should light up and make the famous notes when it is dark. You can also trigger this reaction yourself by cupping your hand around the grommet that holds the photo cell. Have fun and let everyone know that you are the biggest Spielberg fan around! This guide was first published on Aug 06, 2014. It was last updated on Aug 06, 2014.